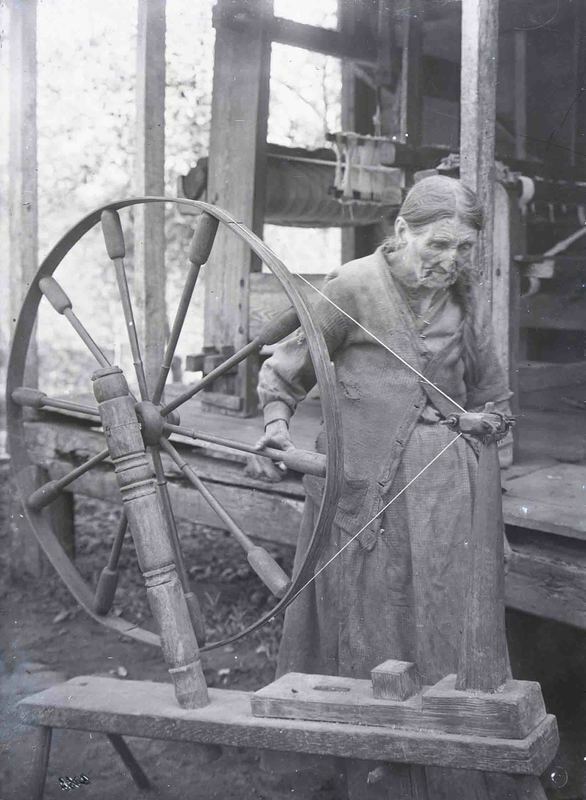 The elder Mrs. Warren using a great wheel, or walking wheel, to spin the wool into yarn. The spinner turns the great wheel by hand and moves back and forth while collecting the pulled and twisted fibers onto a spindle. Mt. Pisgah, North Carolina, ca. 1915.